Several times a year, I visit my wife’s sister and her husband in Vancouver, WA. And just about every visit, we venture over to the On The Border – a chain mexican restaurant that serves up some great food, a great atmosphere and most excellent margaritas. 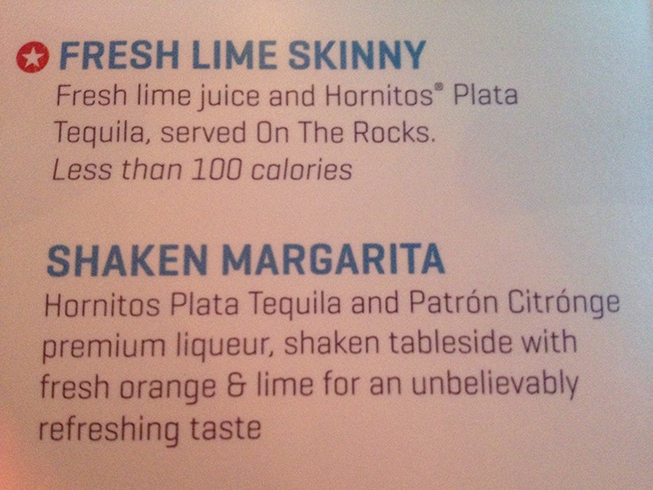 My favorite the last few visits is called the Shaken Margarita. They bring you this cool looking shaker filled with ice, an orange slice, a cut of lime and lots of tequila and lime juice. The tall glass is salt-rimmed and also filled with ice. The waiter starts it off by shaking and pouring your first margarita. As the above image shows, this margarita is based on Hornitos Plata and Patrón Citrónge which work very well together in this margarita. The orange and lime and other mixers add a nice level of flavors. 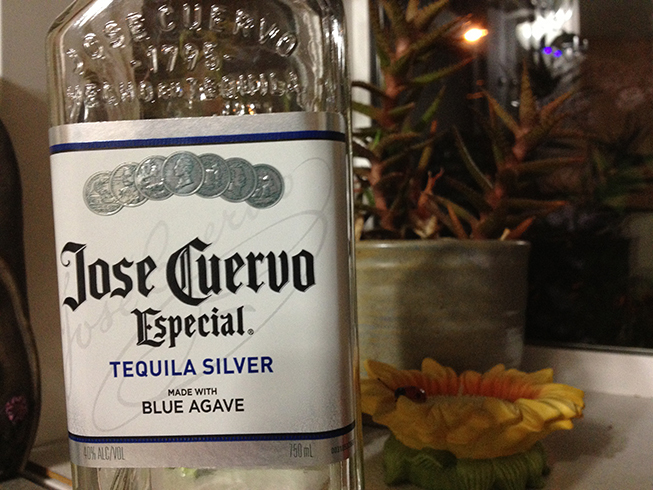 The taste of this margarita is fresh and not too sweet. 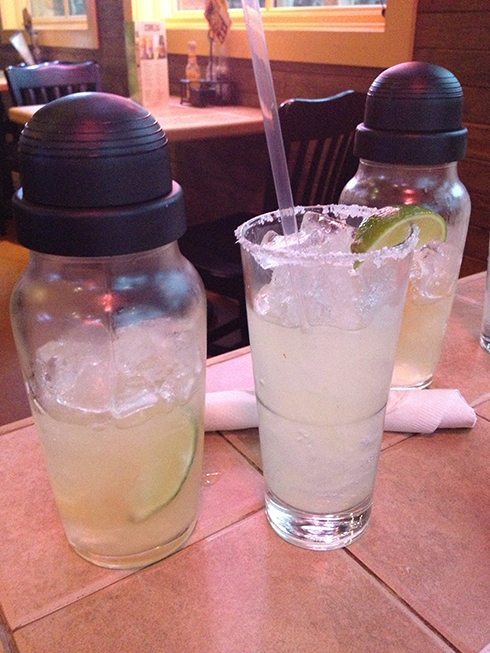 It’s refreshing and I have to get two of these shakers each time I visit, which each shaker easily fills the tall glass twice [like having 4 margaritas for the price of two]. I used to have my margaritas frozen/blended, but many years of brain freeze left me more in pain than in pleasure, so I switched to on the rocks and have never went back. This margarita blended would not be as flavorful, in my imbibed opinion. These Shaken Margaritas are worth the $8 price of admission. They taste great, are loaded with tequila and are the right mix of flavors to give it a plus in my book. 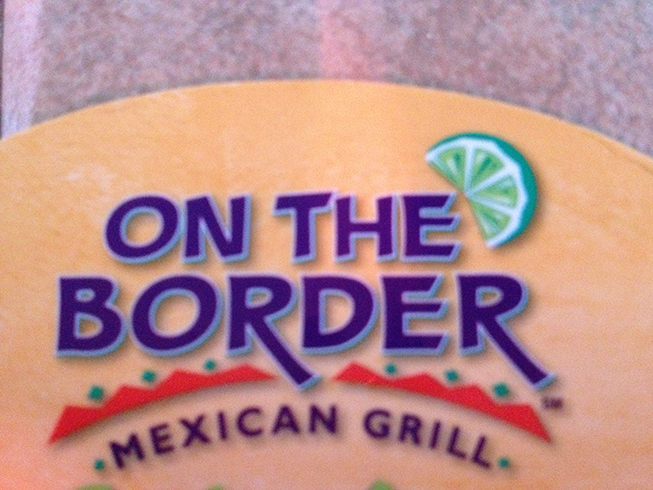 Give it a try if you visit an On The Border location in your search for a great margarita.